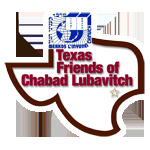 Attendant Calendar - Chabad Lubavitch Center - Texas Regional Hdqrtrs. Months indicated are from the first until the last day of that calendar month, regardless of which day of the week the month concludes. To schedule a Mikveh appointment, please call the attendant at least one day - 24 hours - in advance. לתזמון מינוי מקוה לזמן הרצוי אנא התקשרו לבלנית המתנדבת לפחות עשרים וארבע שעות מראש.